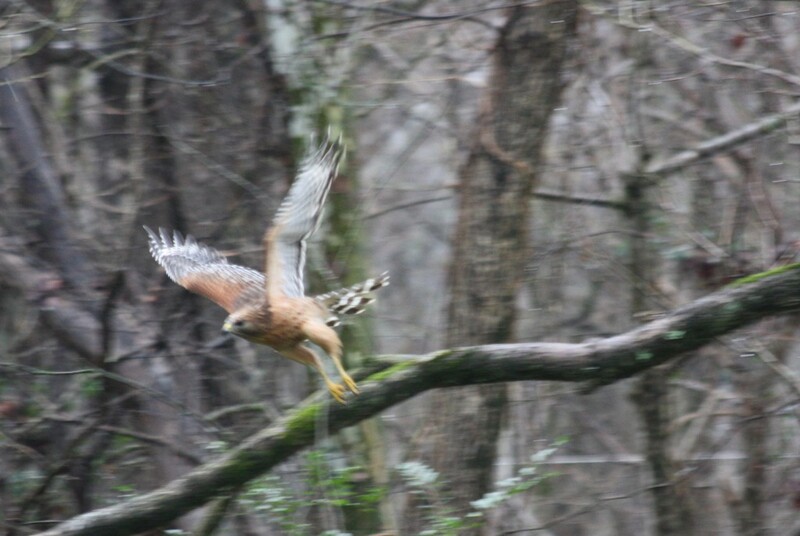 December 31, 2015 – Today I noticed a pair of Red-Shouldered Hawks that seemed to be feeding in a small grassy field near Sandy Creek. 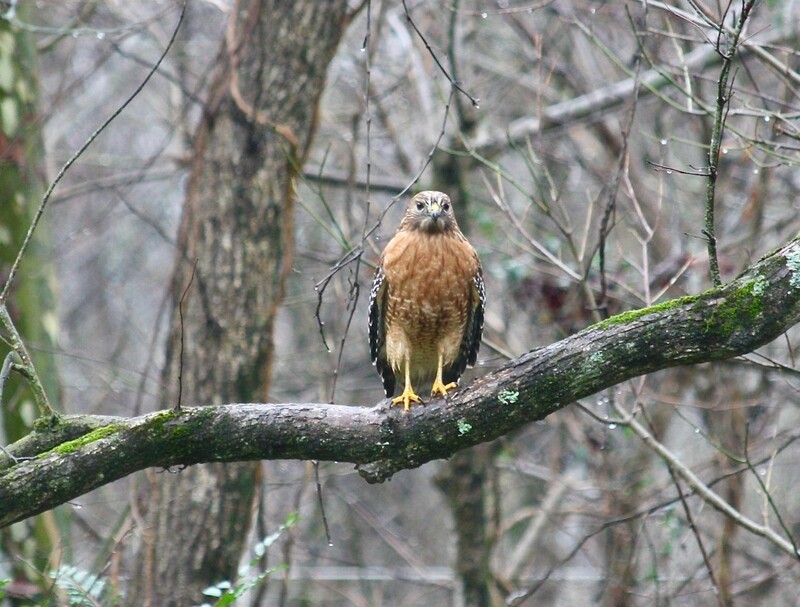 Each hawk would fly down from the trees and telephone wires surrounding the field, land in the grass, pick something up, return to their perch and eat it. 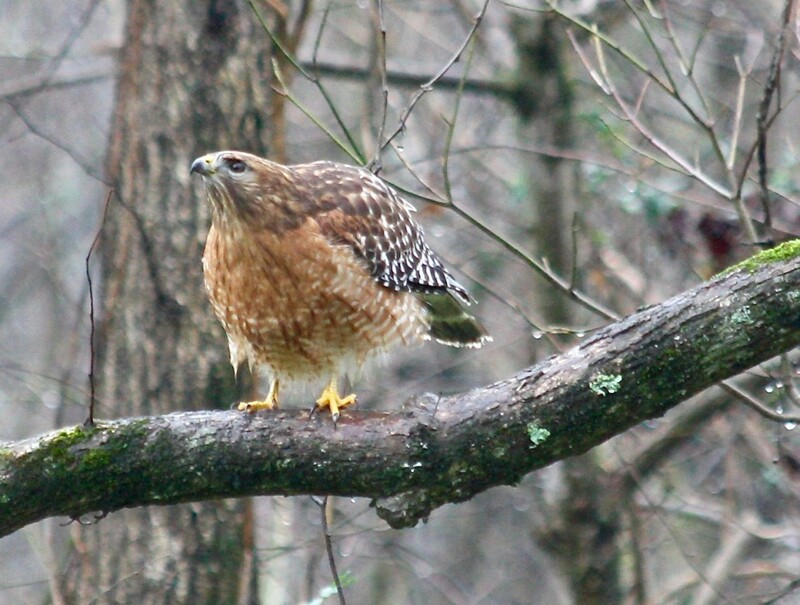 After a few minutes each hawk would then fly down to another spot, and repeat the same process. 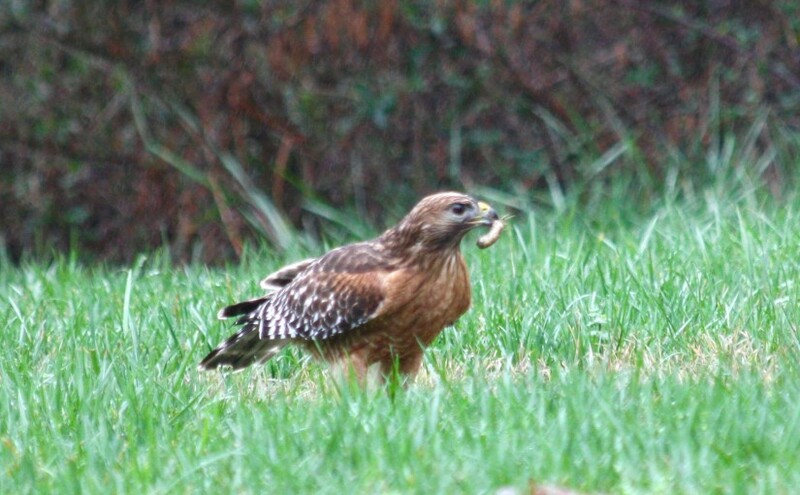 It appeared to me that the hawks were feeding on something scattered over this grassy area. 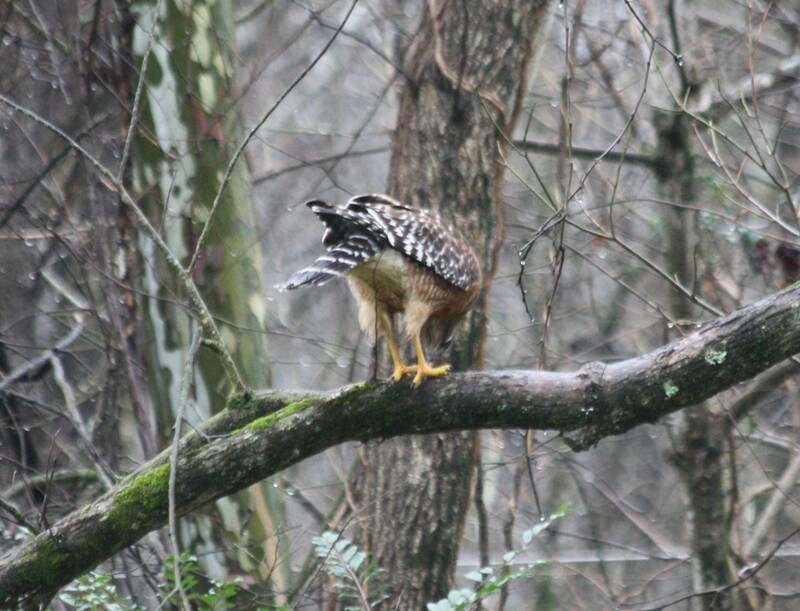 I couldn’t see exactly what they were eating but managed to get a photo of one of the hawks with something in its beak – almost looks like a hotdog. Voles brought to the ground surface by the recent heavy rains and flooding? Or some other small animals congregated on this higher ground to escape the flooded lower areas around Sandy Creek? A friend in the New Hope Audubon Society suggested it might be large beetle grubs. 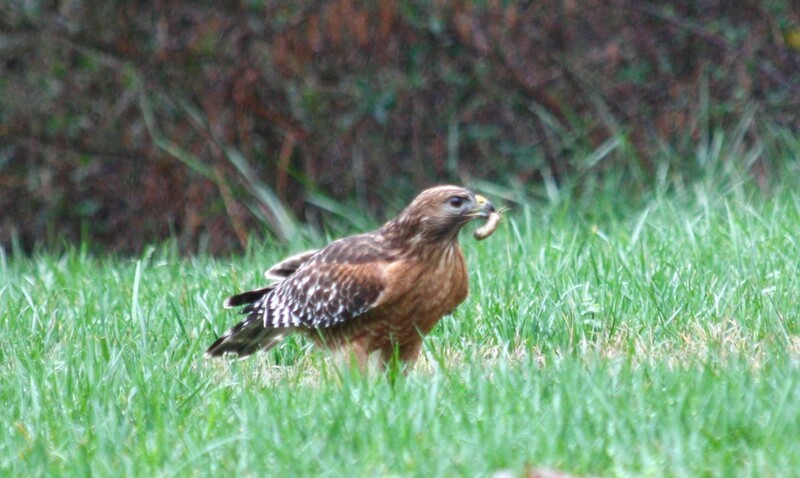 After a few rounds of this, one of the hawks flew over, landed on a telephone wire, and watched as the other hawk continued feeding. 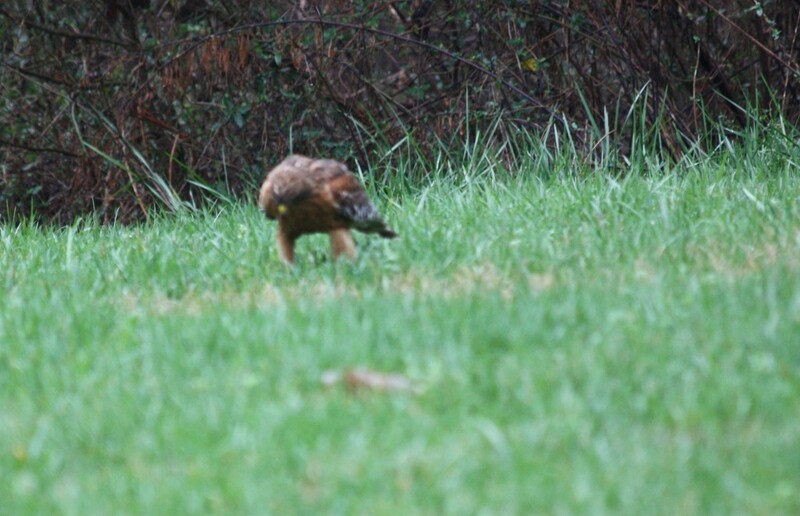 A couple of passing crows noticed the hawks, and called in reinforcements. This seemed to unnerve the hawks. 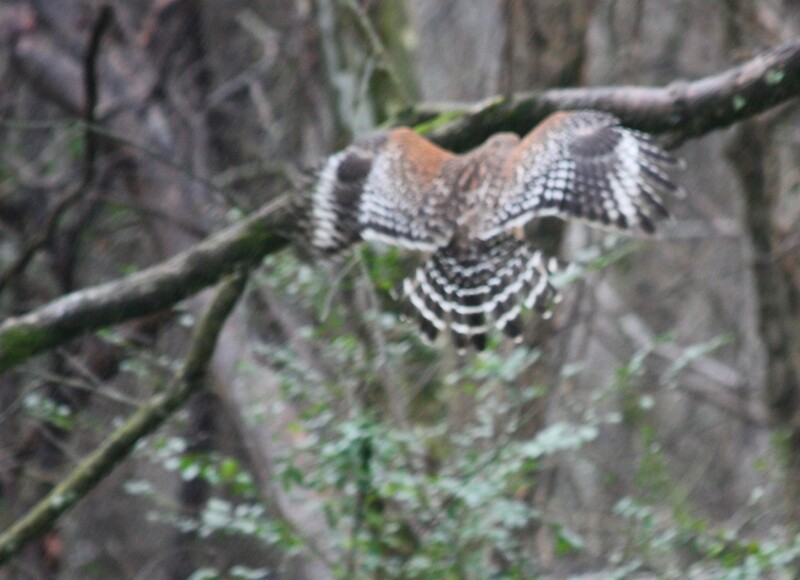 In this photo above, the hawk is scanning the sky watching the crows coming in from different directions. 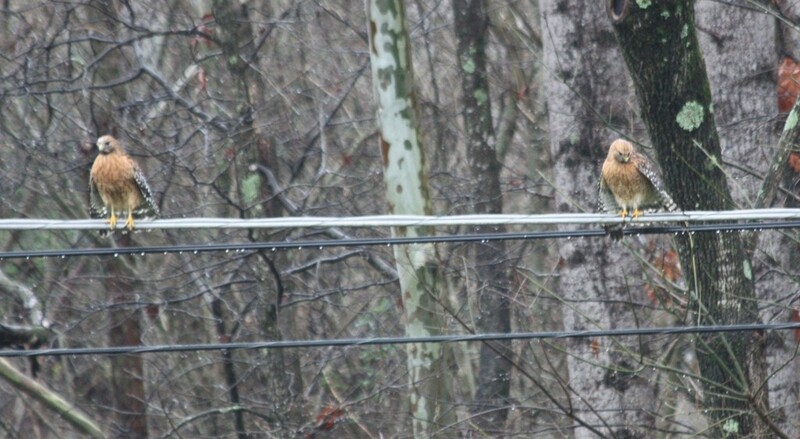 A moment later, the hawk flew over and joined its mate on the telephone wire. The crows took over the field. 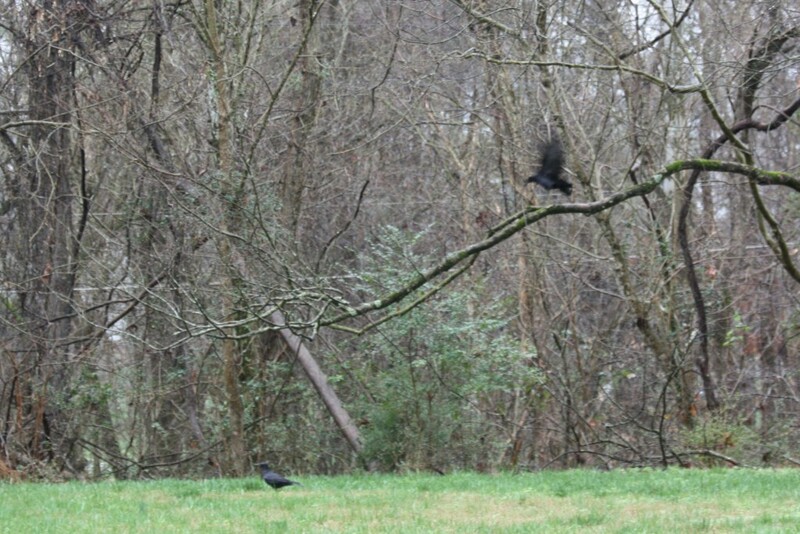 One crow even went and inspected the locations where one of the hawks had perched to eat its meals. 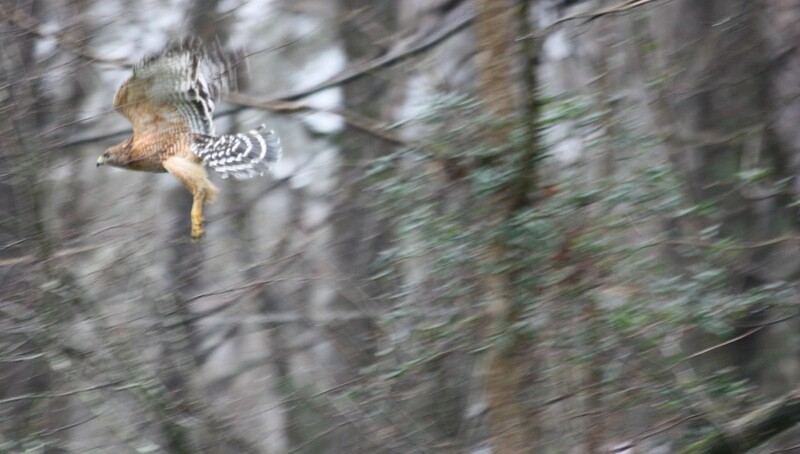 Previous Previous post: Barn Owls in Orange County NC?